What is the "Australian Spirit" Project? 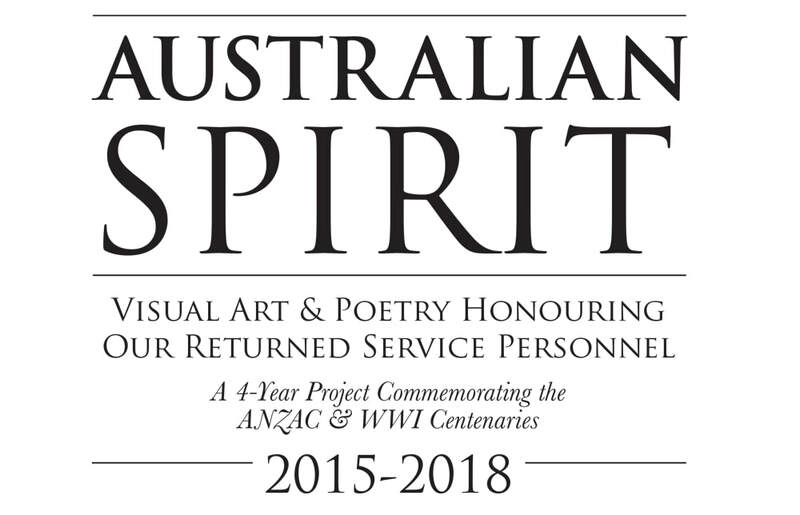 “Australian Spirit” is a 4-year diverse cultural community project that commemorates the ANZAC and WW1 centenaries and honours the services of local servicemen and women over the past 100 years. 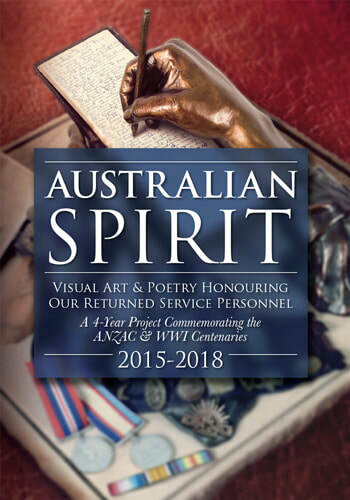 It involves collaborations between local returned service personnel, visual art organisations, poet societies, photographers and videographers, with the assistance of Central Coast RSL clubs, returned veteran associations, businesses, high schools and other community organisations. These collaborations result in a multidisciplinary exhibition of poetry and visual arts. Participating returned service personnel were grouped with an artist, a poet and a photographer. Each of these groups met and engaged in a conversation centred on the veteran’s stories, memories and recollections of their experiences during their service. Based upon this meeting, inspired artworks, both visual and written were created. each year these collaborations were exhibited throughout the Central Coast, and magazines of all the works - visual & written - were sold to raise money for the project and various Veteran services & associations. In 2018, our final year, that year's exhibition, plus selected works from previous years, toured throughout Regional NSW & the ACT, and returned to the Central Coast into the foyers of all Central Coast RSL clubs on ANZAC Day 2018. It was also featured at our Australian Spirit Family Fun Day at The Entertainment Grounds on Saturday 10th November 2018. ​A large-format soft-cover book featuring all works from the entire 4 years of the project is now available for sale at our exhibitions, at Art Studios Co-operative, or at the Australian Spirit website (see below).